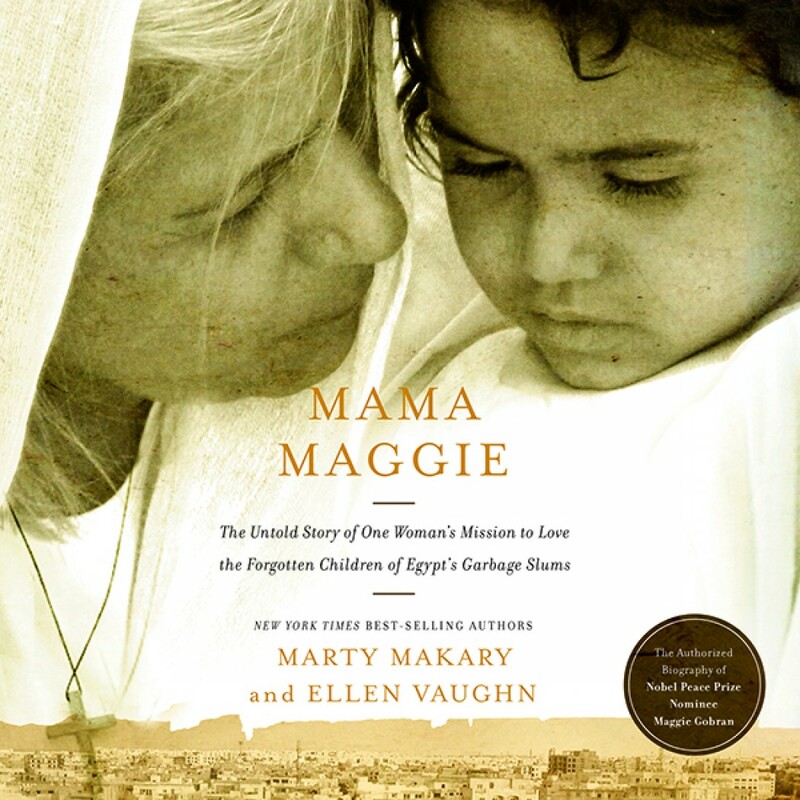 Mama Maggie by Marty Makary and Ellen Vaughn Audiobook Download - Christian audiobooks. Try us free. Since 1997, Maggie Gobran and her organization Stephen’s Children have been changing lives in Cairo’s notorious zabala, or garbage slums. Her innovative, transformational work has garnered worldwide fame and multiple Nobel Prize nominations, but her full story has remained untold—until now. Bestselling authors Martin Makary and Ellen Vaughn chronicle Mama Maggie’s surprising pilgrimage from privileged child to stylish businesswoman to college professor pondering God’s call to change. She answered that call by becoming the modest figure in white who daily navigates piles of stinking trash, bringing hope to the poorest of the poor. Smart and savvy, as tough as she is tender, Maggie Gobran is utterly surrendered to her mission to the “garbage people” who captured her heart.